I’ve known is0crazy and tigger since high school. 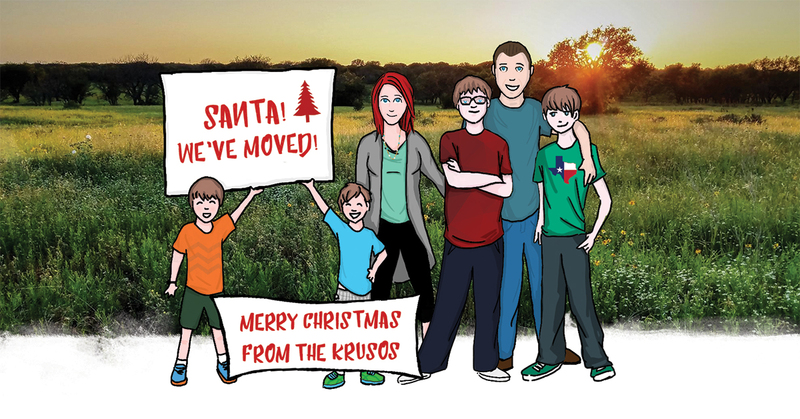 When they commissioned me for a holiday card that also announces that they’ve recently moved to Texas, I knew it had to be special. 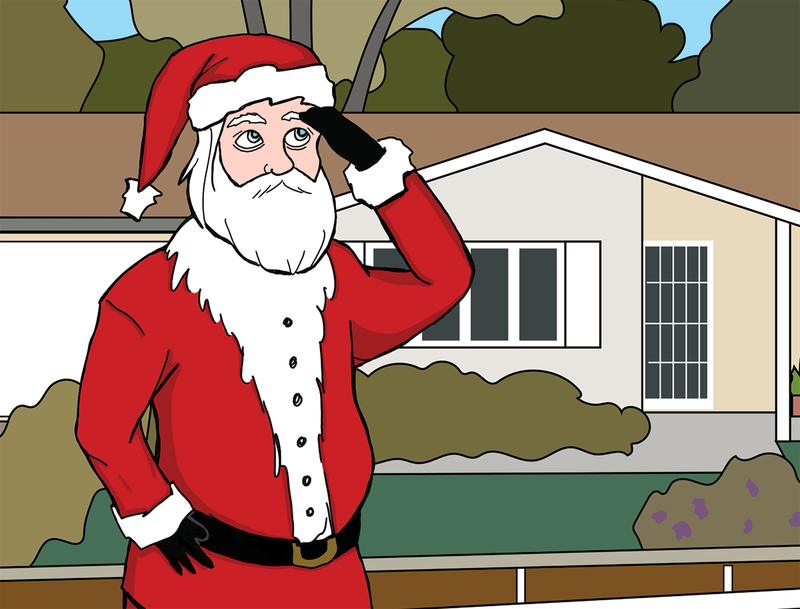 I did a design that has Santa looking around by their old house in California, but couldn’t find them. When you open the card, you get this drawing of their family, with a beautiful shot that is0crazy took of their ranch set in the background. This design took me about 8 hours to do, because I wanted to get all the details right. Super happy with how it turned out!